I found chicken breast and chicken tenderloins on sale last week. You know what that means. I stocked up. Now I have a freezer full of chicken. 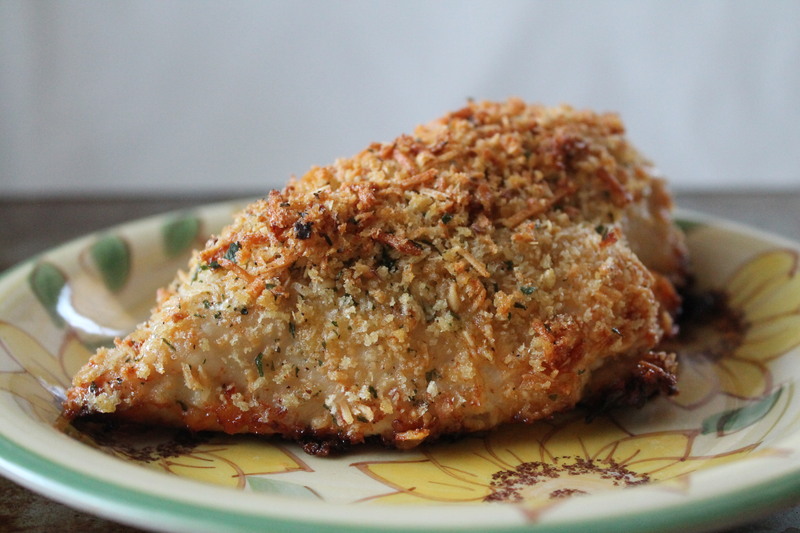 So don’t be surprised if you see a few chicken recipes posted here in the next week or two. It’s a chickenpalooza! 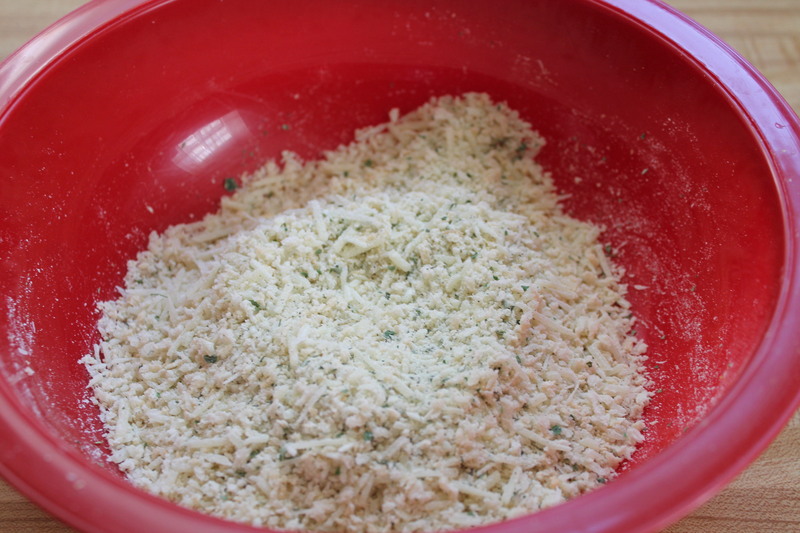 Mix ranch mix, crumbs and parmesan in a shallow bowl. 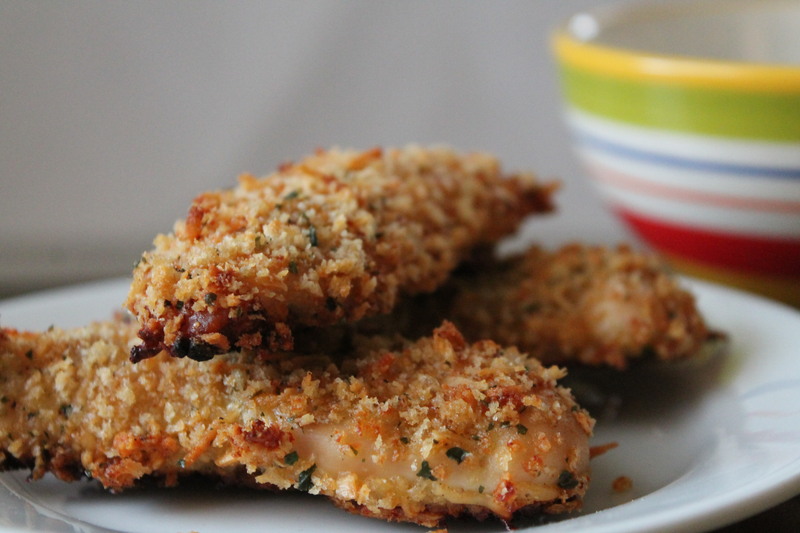 Dip chicken in butter, roll in dry mix till coated. Place on a greased 9×13 pan. I did not have a packet of Ranch dressing mix but I did have a packet of the ranch dip mix. I figured it was pretty much the same thing. 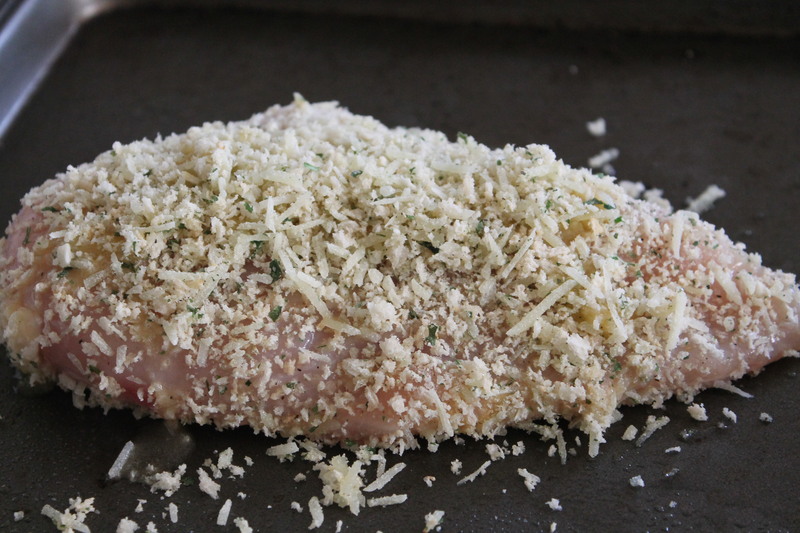 This came together will fast, it just took a few minutes to get the chicken ready for the oven. This was the best chicken I have ever made. The coating was so crunchy. Oh my. My husband could not get enough of it. Heck I could not get enough of it. I actually woke at 4 the next morning so I could make it again using chicken strips (chicken tenderloins ) to take to work for lunch. I will make this again, probably over the weekend. Oh, I have some fiesta Ranch dip mix. Wonder how that will taste?